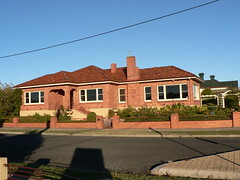 This is a house in Devonport, Tasmania caught in the early morning light. I especially like the circle motif that is included in the metalwork of the fence, gate and railings on the steps up to the front door. It is even featured at window-level on the chimney. Yes lovely place. I like the circles too. 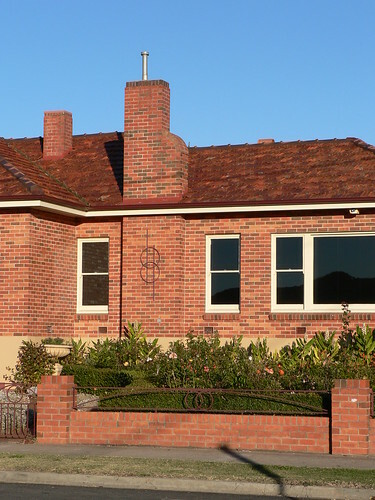 Also there is another house in Devonport that is for sale at the moment..111 Percy St...a fine example of P&O deco. On the real estate web site there are internal pics too. nice. Oh yes ... very nice.